Taking on your own painting project using Farrow & Ball paint can be fun and rewarding. We’ve found that having your supplies ready to go makes a big difference, so here’s a list of everything you need to paint your walls like a pro! Mild soap & water: Clean any dirt or grease off walls before priming. Metal paint scraper: Scrape off any peeling or cracking paint (if necessary) before sanding. Spackle and Spatula : Patch nail holes and other. Fine grit sand paper: Smooth out any rough texture and spackle. Painter’s tape: Cover hardware, outlets and tops of baseboard. Farrow and Ball angled paint brush : Use Angled brushes for “cutting in” clean edges on borders of the room. Farrow and Ball paint roller & covers : Most of your painting will be with a roller. Keep in mind if you are painting a large room or high ceilings we suggest a painter’s pole attached to the roller to extend your reach. Paint tray: Holds paint as you work, and also designed for the paint rollers. And now for the best part . . . the paint!! Primer: F&B tinted primers are used as an undercoat applied before applying paint. Also, the primer blocks the previous color and finish, and has binding properties that allow the top coats to adhere more evenly for optimal finish and color! Each of the 132 F&B colors has an appropriate tinted primer assigned. 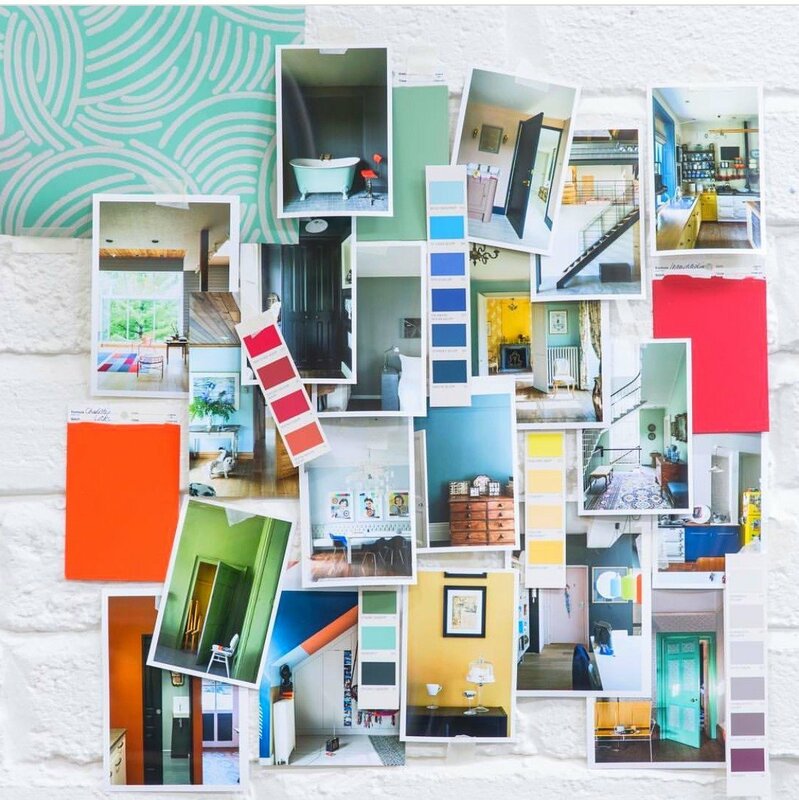 Paint: Here is a handy dandy guide to Farrow and Ball wall paint finishes. Farrow & Ball Estate Emulsion: Ideal for low-traffic areas and ceilings, since it provides a dull, no-gloss finish and is harder to clean. Covers 580 sq ft.
Farrow & Ball Modern Emulsion: Great for higher traffic areas (e.g., living and bedrooms) since they are easy to clean and offer light-reflective qualities that are desirable in most rooms. 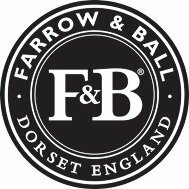 Farrow & Ball Estate Eggshell: Durable eggshell finish that is ideal for all interior woodwork and metal. From furniture pieces, kitchen cupboards, radiators and the underside of baths to skirting boards and doors. 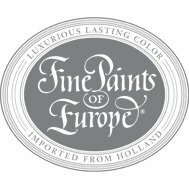 Farrow & Ball Full Gloss: An extremely versatile, robust and traditional high gloss finish which is suitable to use on both interior and exterior wood and metal surfaces. It can also be used to dramatic effect on walls and ceilings. DO YOU NEED HELP WITH COLOR BEFORE GETTING STARTED? WE CAN HELP!